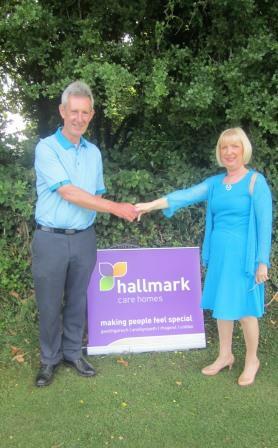 Regency House Care Home, on Mill Road, recently sponsored an event at Captains Day, held at Whitchurch Golf Club. The charity event was organized by David McAndrew to raise money for Bobaith Cymru and Age Concern. Bobath Cymru is a children’s therapy centre specialising in physiotherapy, occupational therapy and speech and language therapy, and Age Concern aims to provide advice and support for the elderly who wish to regain their independence. It was a successful day with many guests coming by to try out the competitions on the day, including ‘nearest the pin’ and other came to enjoy the social event.